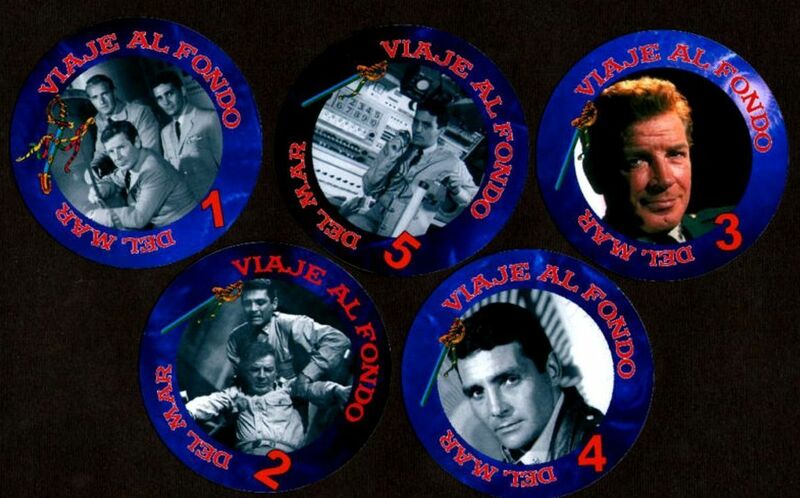 Very scare Voyage to the Bottom of the Sea Spainish trading cards. 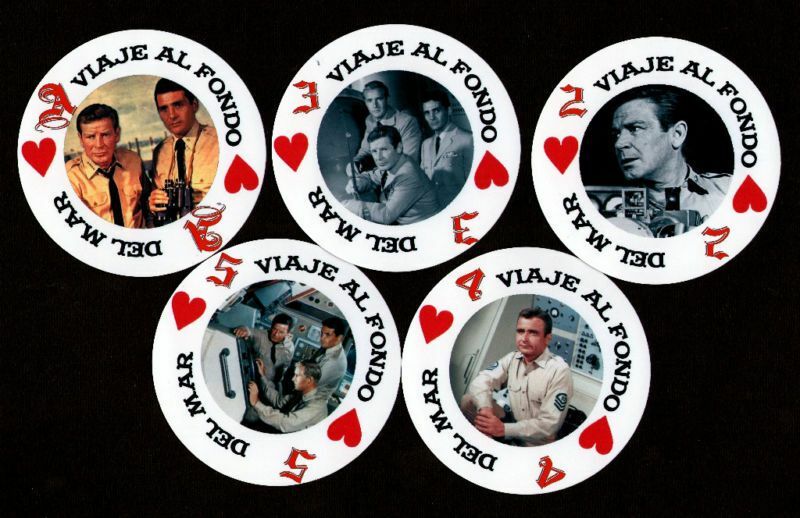 Made in Argentina set includes 50 different playing cards and 2 jokers. Also shown here are Poker cards consisiting of 52 playing cards. Very colorful cards and a great tribute to each Voyage cast member of the series.